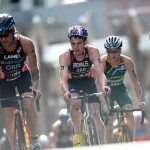 Auckland, March 29 – It was a day of firsts as Gwen Jorgensen (USA) and Jonathon Brownlee (GBR) claimed their first 2015 ITU World Triathlon Auckland title on Sunday. 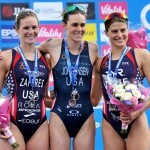 American Gwen Jorgensen finally got a long awaited win at the 2015 World Triathlon Series in Auckland on Sunday after three attempts. 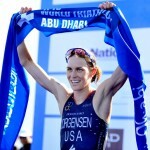 The victory rocketed the American to 10 WTS wins and cemented her place at the top of the Threedneedle leader board after her win in Abu Dhabi. 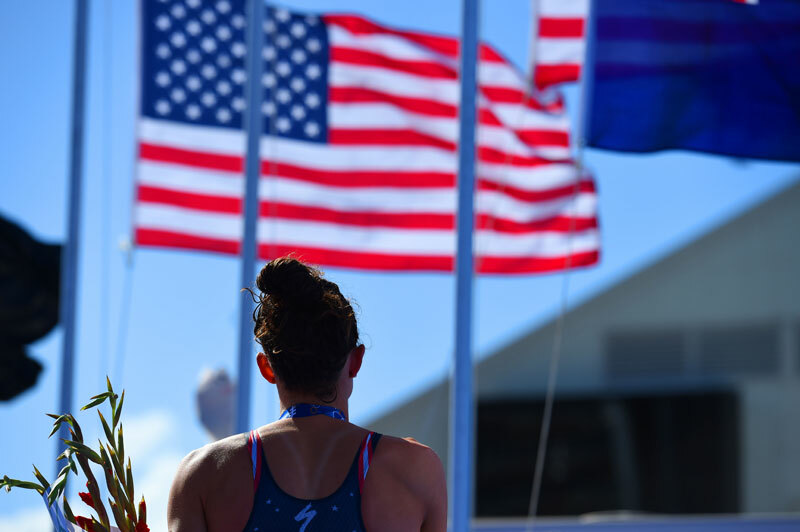 Also mirroring that first WTS race earlier in the year, fellow American Katie Zaferes was able to take home the silver medal with a time of 2:10:42. Jorgensen emerged from the water with a 40-second deficit but her her effort on the early laps of the bike catapulted her into the lead group as she was able to remain their for the entire 40km before unleashing her lethal run. Crossing the finish-line at 2:09:04 with a lead of over 90 seconds, she earned her second gold medal and granted her the rights to an early perfect 2015 WTS season. “I really wanted to be with the leaders in T2 so I am really happy that I was able to do that. I was able to execute with my run today but my main goal is to keep with front pack during the bike,” said Jorgensen. 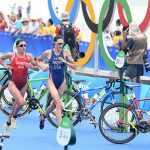 A mild temperature and sunny conditions saw a group of about nine lead by Jessica Learmonth (GBR) andCarolina Routier (ESP) lead out of the swim with a healthy gap between them and the chase group, for the entirety of the 1500-metre swim. After the first transition, a strong lead group was led by Lucy Hall (GBR) and Sarah True (USA) for the first couple laps of the bike. But entering into the third lap a huge push from the chase group caused the frontrunners to turn into a 21-women merger. The last part of the bike ride the leaders dwindled down to an 11-person pack that included Jorgensen, True, Lisa Norden (SWE), Andrea Hewitt (NZL) and Vendula Frintova(CZE). Norden executed a strong performance on the bike as she brought herself back from a forty-second deficit from the water to be the leader on the bike for five out of the eight-laps. However she was forced to pull herself out of the race once she hit the run with Achilles trouble. New Zealand’s own Hewitt put in a monster performance to be in the leading group on the bike and dictated terms but was not able to match the leg speed of Jorgensen. A littering call made on the bike course also handed Hewitt a 15-second penalty, but despite the setback she was able to rally and take home the last podium position. Her third play today also secured her place on the New Zealand team for Rio 2016 as it doubled as a selection race for the home nation.